United Chamber members are invited to view the 2019 Sponsorship Opportunities Guide (click here to download the .pdf / click here to view online e-magazine). This comprehensive guide details all chamber event sponsorship and marketing opportunities currently planned for the year ahead. Secure your sponsorships for 2019 during the "Commit 2 Commerce" (C2C) Sponsorship Campaign in order to to lock-in the prices listed and take advantage of campaign-exclusive offers. 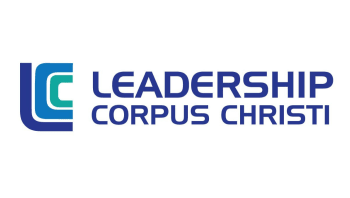 For more information, or to secure valuable sponsorship opportunities for your business, contact us by email to c2c@unitedcorpuschristichamber.com. The C2C Campaign ends at 5 p.m. on Friday, April 12, 2019. The "Commit 2 Commerce" (C2C) Campaign for 2019 Event Sponsorship and Marketing Opportunities is currently underway and will continue through the close of business on April 12, 2019. All United Chamber members are invited to secure their chamber sponsorship opportunities for the year during the C2C Campaign. 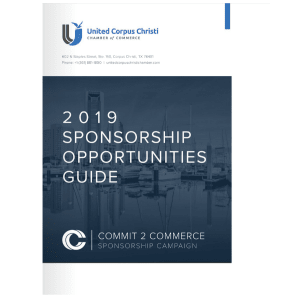 For more information about the 2019 "Commit 2 Commerce" (C2C) Campaign, or to request a custom sponsorship proposal for your business, please click here or contact us via email to c2c@unitedcorpuschristichamber.com.